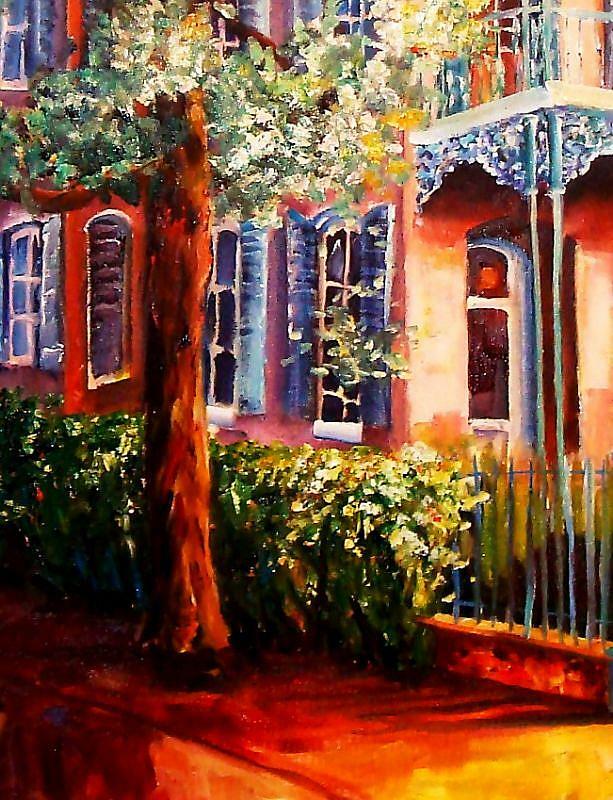 This vibrant original oil painting captures the haunting beauty of an old Garden District home in New Orleans. It is painted in a free flowing impressionistic style on a 1" deep gallery wrapped canvas. 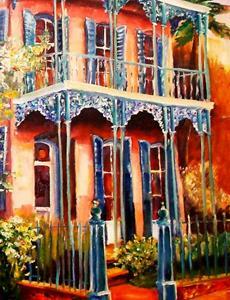 The edges are also painted so that it may be hung unframed if desired. 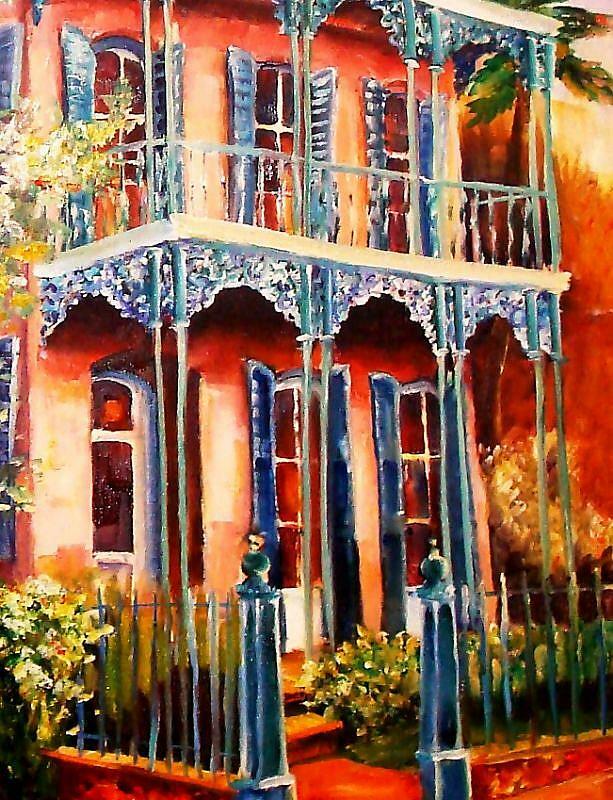 A picture hanging kit is included for instant display. This is a one of a kind original, and a certificated of authenticity will be enclosed. 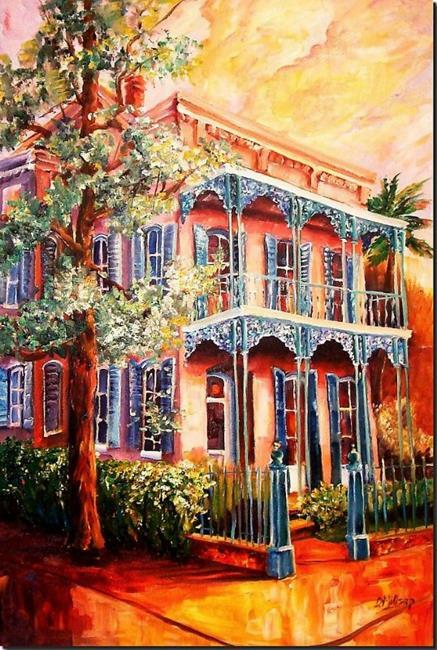 Diane's prints of New Orleans are widely published, and this is an opportunity to own an original.